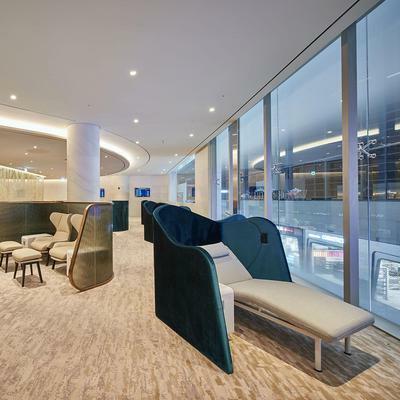 Korean Air's first and business class lounges at Seoul's Incheon Airport have been thoughtfully modernised by the team at Kukbo Design. Kukbo Design engaged Brintons Carpets, together with partners Younghan Trading, to create a stylish, luxury woven flooring solution for Korean Air's premium member lounges. 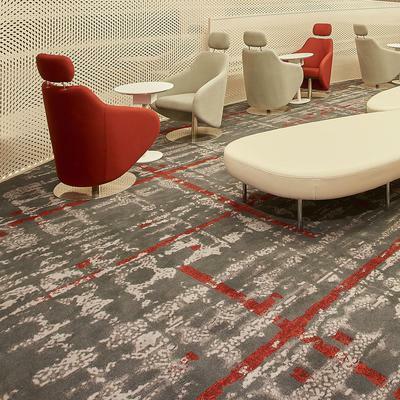 320 sqm of Brintons custom designed wool-rich woven Axminster carpets are used to create comfort zones in the lounge areas. 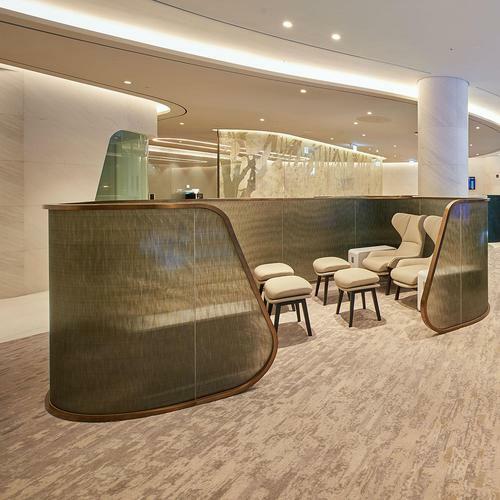 Brintons design team provided expert guidance on colour and design direction, culminating in the creation of a collection of complementing textured designs for the prestige interior spaces. Influenced by contemporary minimalist interiors, the flooring textures are sophisticated in their simplicity. Colour is cleverly woven into the layers of texture to achieve a graphic and contemporary look. 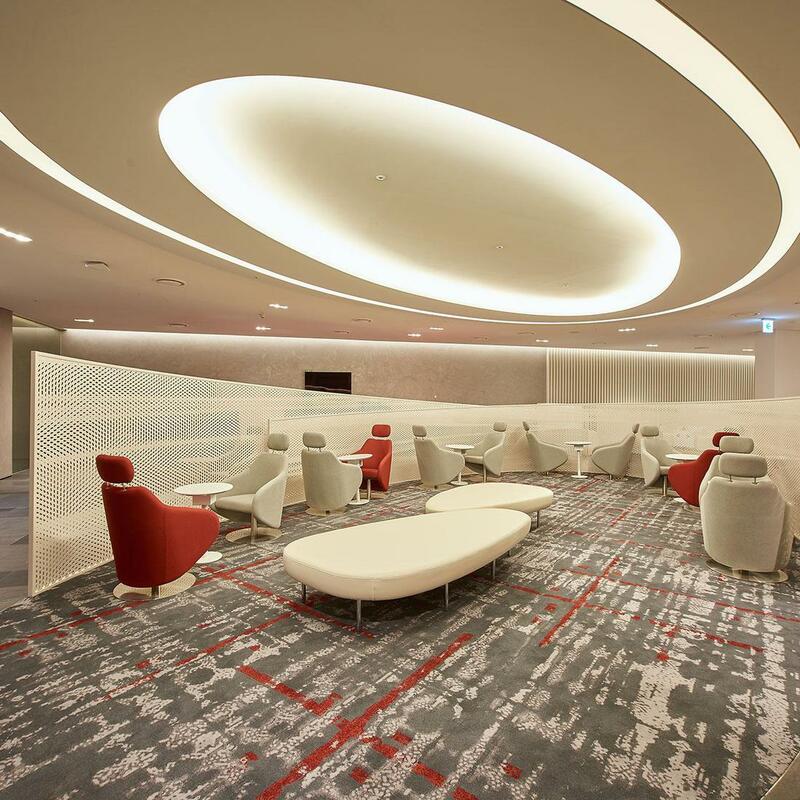 The carpets add to the overall aesthetic, providing a welcoming and inviting space where members will want to relax when travelling. Brintons provided a full sampling and project management service to support the creative design and planning process, facilitating the efficient and timely delivery of the project. 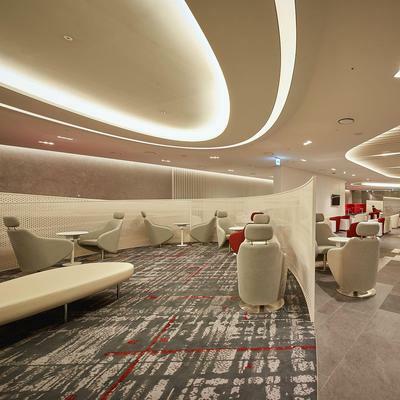 We enjoyed working with the team at Brintons to develop the carpets for the Korean Air lounges at Incheon Airport. We were impressed by their approach to the design process and they gave us excellent guidance in colour and design. They helped us achieve our vision for the interior - transforming the lounges into sophisticated, contemporary spaces where members can relax in style.